Quotes about gains: Let the weekend gains begin! Let the weekend gains begin! Let the weekend gains begin and make sure you go beast mode in the gym! 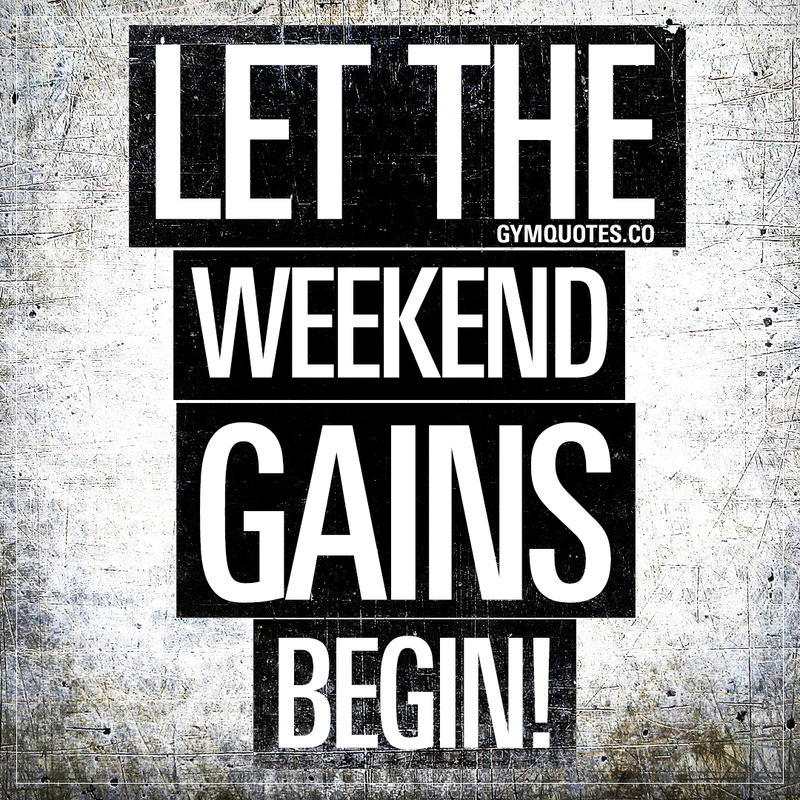 If you like going to the gym on weekends, then make sure you share this weekend gains quote with someone! This “Let the weekend gains begin!” quote (image and text) is copyright © Gym Quotes 2018. All rights reserved.